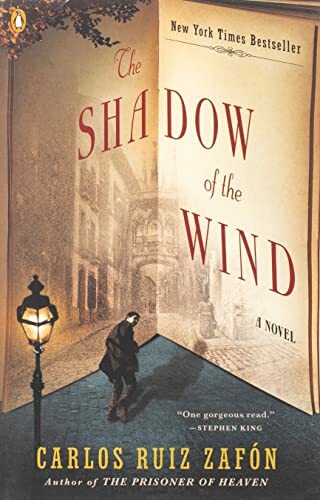 From the back cover: "Barcelona, 1945: A city slowly heals from its war wounds, and Daniel,an antiquarian book dealer's son who mourns the loss of his mother, finds solace in a mysterious book entitled The Shadow of the Wind, by one Julian Carax. But when he sets out to find the author's other works, he makes a shocking discovery: someone has been systematically destroying every copy of every book Carax has written. In fact, Daniel may have the last of Carax's books in existence. Soon Daniel's seemingly innocent quest opens a door into one of Barcelona's darkest secrets - an epic story of murder, madness and doomed love." Released at the Vancouver meet-up. Enjoy!